BROW ENHANCING SERUMS: DO THEY WORK? Full brows have been on trend since 2011, and top makeup artists agree: they’re here to stay. If full brows weren’t your thing before, a brow enhancing serum may be a good option for you. Lush, full brows can shave years off of your appearance. Just look at this before and after below from our FREE E-book: The Amalie Brow Bible . The first picture (left) is from 1997, the right is from 2015. What?! Can a brow enhancing serum help? Brow enhancers are not as popular as their lash-enhancer counterparts, but a lot of serums use the same active ingredients in both. Lashes and brows are related after all; they’re both just little hairs strategically placed on your face to help protect your eyes from dirt, debris and sweat. The most popular type of brow enhancers on the market are peptide-based serums. Why are they the most popular? 1. Because the formulations look very scientific to customers and 2. Because Chinese manufacturers put out these formulations like hotcakes, making it cheap and easy to start your own lash and brow enhancing company. If you can just buy the formula and packaging from a Chinese factory and slap your name on it—boom! You have a new company overnight. The danger? Some of these formulations aren’t exactly what they say they are. Let’s dig into why, with an example from an adjacent maket: supplements. The supplement market has a lot of problems with China; Chinese manufacturers have long “spiked” their supplements, because the active ingredients are banned by the FDA in America. If the people taking the supplements don’t know what’s really in them, but just see the results, they’ll keep buying. What the consumers don’t know is that these ingredients are often harmful (that’s why they’re banned by the FDA) and can cause long-term ill effects. In some cases, these supplements will get athletes banned from participating in their sports. In the same way, the lash and brow enhancer industry in China runs on results. They are happy to spike formulations for consumers to see results, because good results = bigger purchase orders = more money for them. A few manufacturers were called out by the FDA in 2011 because of spiked formulations (read here), which contained bimataprost and bimataprost analogs, which are only approved for pharmaceutical use and carry some pretty scary side effects. While it can be difficult to know what companies to trust, when it comes to the science of peptides, there’s evidence pointing toward the fact that peptides can increase penetration to the hair follicle (Silva, Vasconcelos, Cavaco-Paulo, 2007) and there’s evidence that copper peptides can help increase follicle size and stimulate hair to grow. Peptide-based serums are a viable option for an eyebrow enhancing serum, just be careful about the manufacturer you’re purchasing from! EFA based brow enhancers, like our WINK lash & brow oil , use research based on a 1980 paper published in a medical journal, which showed that EFAs can increase natural prostaglandin production in those with a deficiency. This means increased prostaglandin (which is responsible for brow growth), without the side effects of bimataprost. 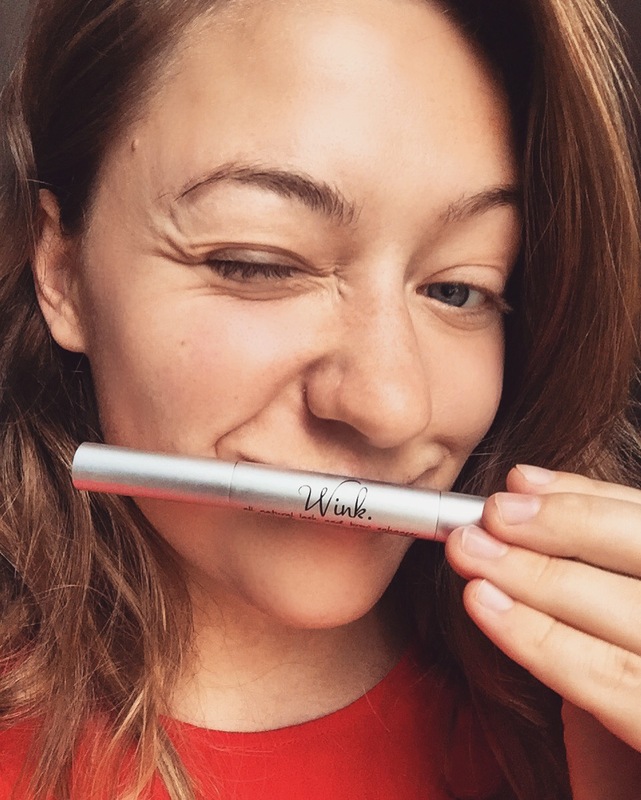 WINK’s formulation contains exotic fruit seed and nut oils, including Himalayan Cherry Oil, Kukui Nut Oil, and Jojoba Oil to achieve it’s unique mixture of essential fatty acids. These EFAs are derived from both emollient and occlusive agents, which means the formulation naturally penetrates and moisturizes the skin, while trapping in that moisture. WINK is made in the USA, and is vegan and cruelty-free. You can expect what’s on the ingredient list to exactly reflect what’s inside. 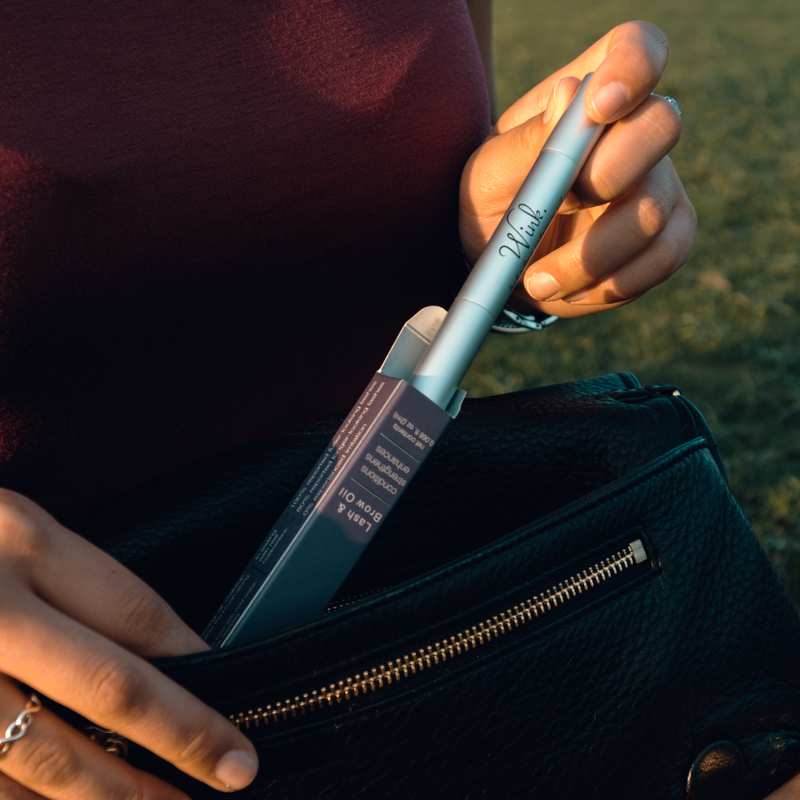 When you feed your brows an EFA-based brow enhancer serum, you can expect healthy, conditioned brows (as well as the skin around the brows) that are much stronger than before. Finally, we come to bimataprost-based brow enhancer serums. In the US, prescription lash products have not yet been approved for marketing for brow use. However, some people still choose to apply bimataprost serums to their brows. The side effects of using such a serum cannot be underestimated. From iris color-changing to skin color-changing, the side effects aren’t pretty. Want to do Some Additional “Brows”ing? 1. How long does it take for Brows to grow back? 4. 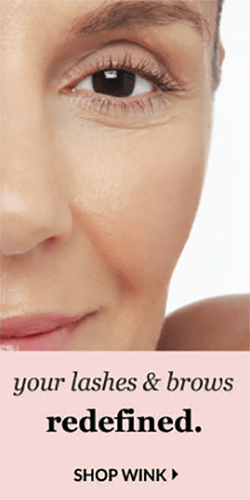 Eyebrow Implants – Should you Try Them? 5. I Shaved My Eyebrows! What Now? Feel free to comment below if we missed an active ingredient, or if you would like us to do an analysis on a brow enhancer serums’s formulation!